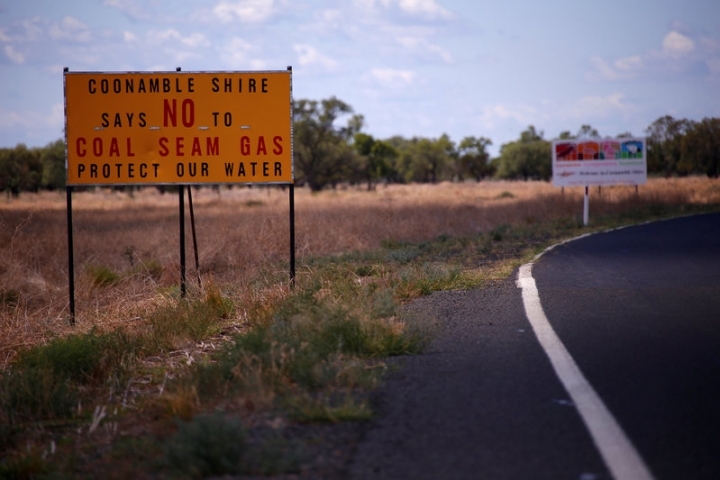 SYDNEY (Reuters) - Australia's deputy prime minister said he would support lifting bans on coal seam gas (CSG) drilling if landowners were given a bigger slice of royalties, a significant policy shift as the country scrambles to avoid a looming energy crisis. Australia, with an abundance of natural riches, was supposed to be a world energy power on its way to becoming the largest global exporter of liquefied natural gas (LNG), but the government instead finds itself battling to explain why the country is unable to keep the lights on at home. A series of massive blackouts in South Australia state has already caused major embarrassment and the national energy market operator has warned of a domestic gas crunch from 2019 that could trigger further broad power outages and industry supply cuts. Deputy Prime Minister Barnaby Joyce's support to lift the CSG ban - if landowners were granted royalties - could be a game changer as his right-wing National Party has traditionally opposed such a move. "By paying a royalty it means the value of a farmer's land increases as a result of gas extraction, rather than decreasing," said Joyce, who is also the agricultural minister, in comments confirmed by his office on Saturday. Manufacturers have long complained of tight gas supplies and soaring prices as producers have focused on supplying gas to LNG plants that have locked in 20-year export contracts. Restrictions on drilling CSG have added to supply constraints. Under pressure from green voters and farmers, the state of Victoria has banned onshore gas developments, including fracking, and New South Wales state has prevented developments. Australia's power supply problems made international headlines last week when Tesla Inc boss Elon Musk offered to save South Australia, the country's most renewable-energy dependent state, from recurring blackouts by installing battery storage worth $25 million within 100 days. Prime Minister Malcolm Turnbull also this week floated spending up to A$2 billion ($1.5 billion) to expand the Snowy Hydro power scheme and held crisis talks with major gas producers, including Exxon Mobil Corp and Royal Dutch Shell, who have large export contracts.